If you are planning to visit Hua Hin soon but not sure what to do, you have landed on the right page. During my trip there, I actually found out there are many Hua Hin sightseeing locations & fun activities to do. 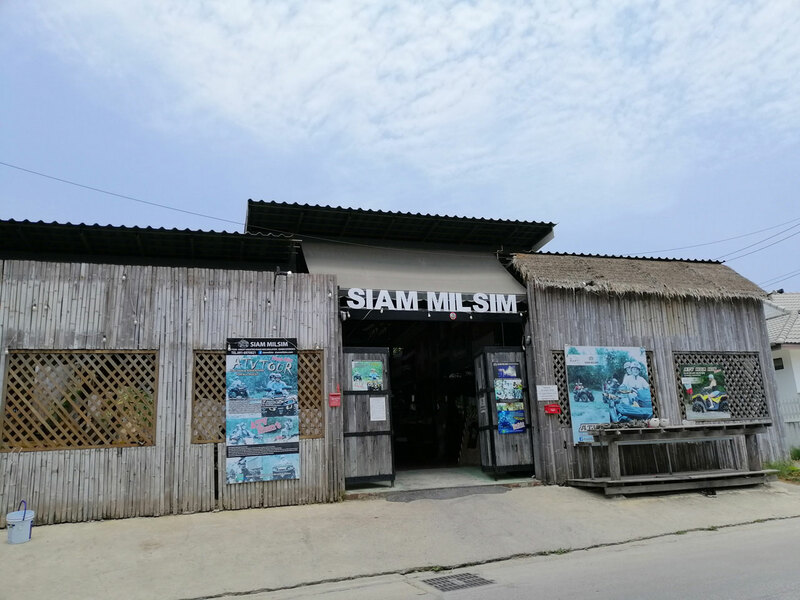 In this post, I am going to do a full review of my recent visit to Siam Milsim in Hua Hin, which is a military simulation with ATV offroad adventure, Airsoft shooting, combat tactical and other exciting simulation games in a package. 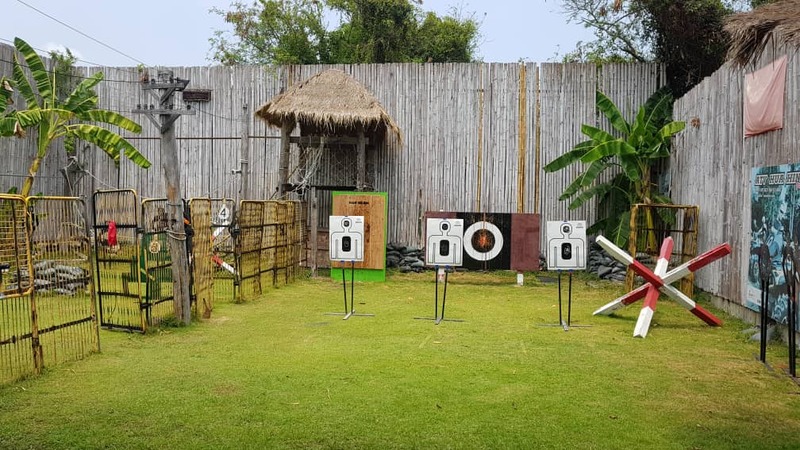 Hua Hin Siam Milsim offers all type of extreme sports including an offroad ride on an ATV (All Terrain Vehicle), gun shooting, axe/knife throwing and military simulation games. Some activities are suitable for all ages & an attraction for the family but extra care must be taken because this is extreme sports and people might get injured. There are no worries because the staff there are professional, friendly and helpful. Every precaution steps are taken to keep the visitors safe. A short briefing and security measures will be given before the start of the games. If you are planning for the ATV tour, you will be riding on the famous brand of Can-Am ATV’s ranging from 650cc to 1000cc. Also, if you looking for something more challenging, check out the ‘survival adventure’ such as the Zombie Infection where players will be playing and hunting down ‘zombies’ at a secret location with real buildings, boats & ATVs. I found out about Siam Milsim during my trip to Hua Hin recently. 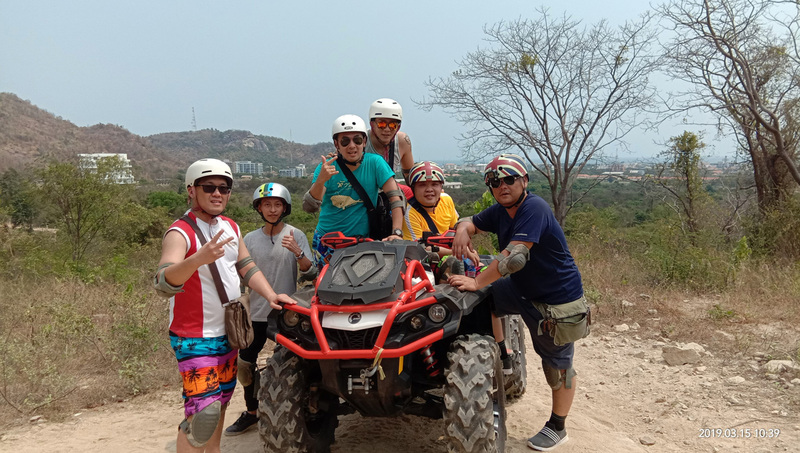 6 of us took up the ATV offroad tour in Rocky Valley and tried out the Airsoft gun shooting and spend about more than 2 hours there. Before we head off for ATV ride, we are required to wear safety helmets and protective pads for knees and ankles just in case there are unwanted accident happen. #HuaHinTravelTips: Remember to bring along your sunblock because you will be riding in the scorching hot sun! 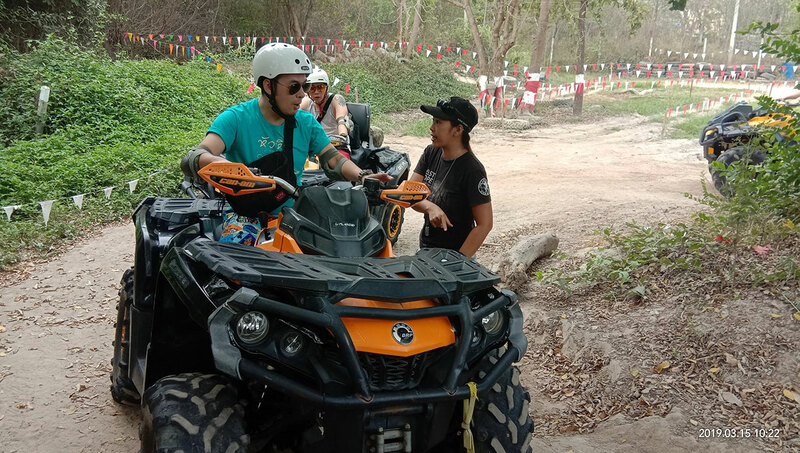 All of us are given a short briefing on how to handle and drive the ATV including how to shift gear, braking, the right way to accelerate the ATV etc. After 10 minutes of briefing and warm up, we started our way to a man-made rocky terrain with uphill and downhill. After reached the hilltop, we stopped and took a short rest while the staff handed us the cold Pepsi drinks. It was a very bumpy ride with a lot of fun! After having all the fun with ATV ride in the rocky terrain, we headed back to the clubhouse. Snacks, fruits & drinks are served so we can rehydrate. We then started a short brief on how to handle the Airsoft handgun & rifles. We also learned how to throw an axe and a knife. The best part was they captured all the moments on GoPro, saved in a memory card and also sent the raw photos & videos to us via email after a few days. 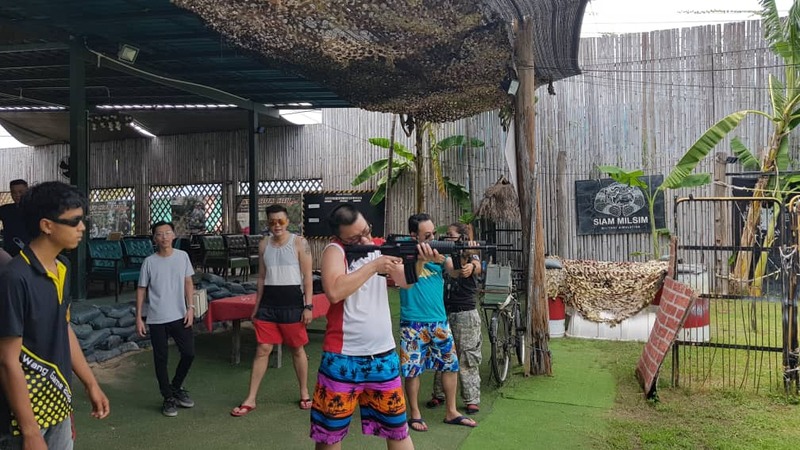 This is the best experience I ever had so far when travelling to Thailand and I personally recommended you to visit Siam Milsim Hua Hin too. 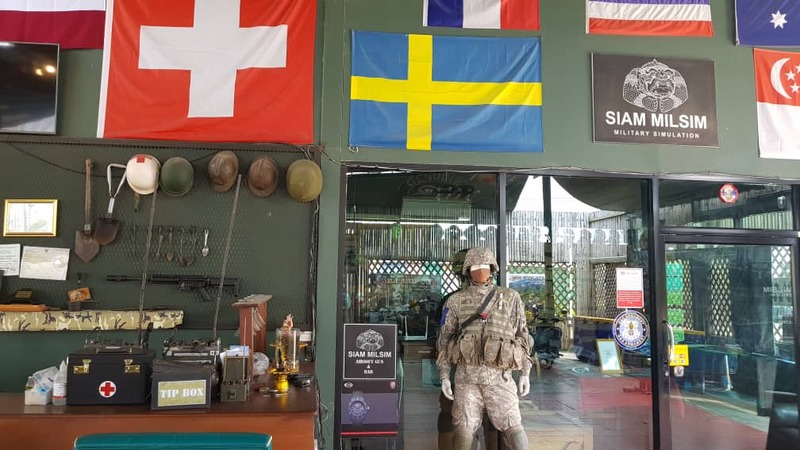 Siam Milsim is located at 10/469, Soi Hua Hin 94/3, Hua Hin District, Prachuap Khiri Khan 77110, Thailand. Basically, we booked our slot at Siam Milsim through our hotel receptionist. Transportation will be provided too. It only takes about 10 minutes to reach Siam Milsim from Chalelarn Hotel Hua Hin, if you are staying there. Chalelarn Hotel Hua Hin is located in the center of all Hua Hin attractions, shopping malls, night markets, shops & bars. Find out more about Siam Milsim on Facebook.